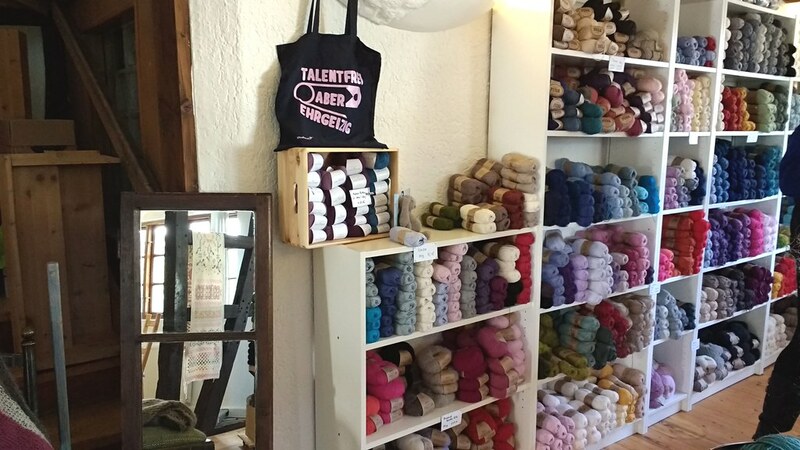 25 % Osterrabatt auf alle Anleitungen bei Ravelry und MyPatterns, bis 22. April. 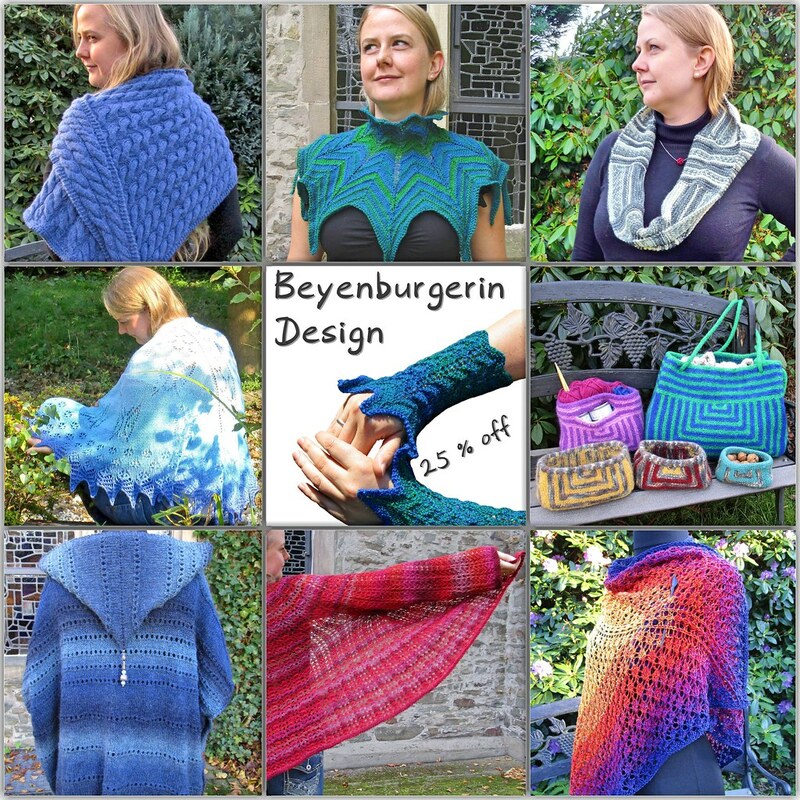 25 % Easter discount, all patterns in my Ravelry Store, until 22nd April. Tricornia Poncho, ein toller Begleiter für den Sommer. In der Anleitung gibt es einen 5 Euro Gutscheincode für einen Bobbel der Garnmanufaktur. Tricornia Poncho,A great companion for the summer. 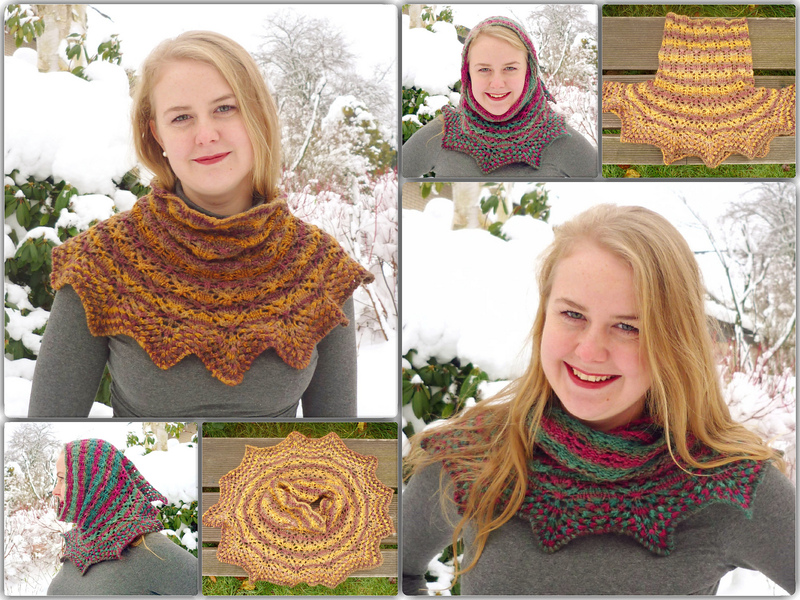 Pattern contains 5 € coupon code for a gradient yarn cake by Garnmanufaktur. Deutschsprachige Anleitungen auch in meinem MyPatterns Shop mit 25 % Rabatt bis zum 11. März. 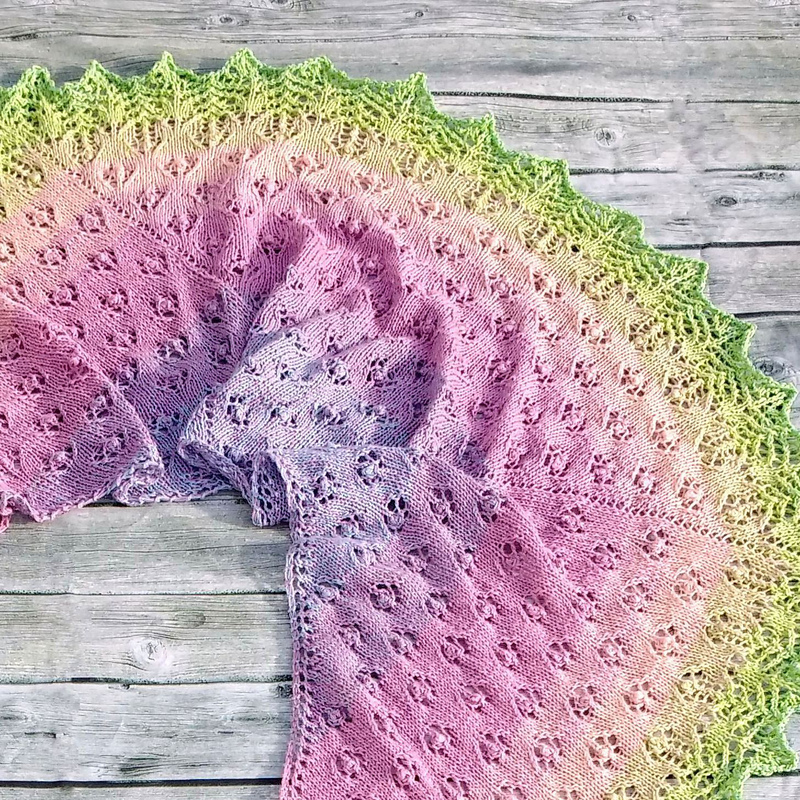 The name Columbine for this series of knitting patterns derives from the flower, using a knitting pattern that reminds of alined columbine buds. When I first named a pattern Columbine in spring 2015, I disucussed the name with several people via email, in the USA and a South African lady living in Britain. So that covers quite a lot of the English speaking world. All confirmed that the first thought was not the Columbine shooting, but the flower. I can assure you, it has nothing to do with any school shootings in the USA. They are really horrible, my thoguhts are with the families and friends of the victims. But it seems that the pattern suddenly turns to a kind of political statement, which was not intended, but if it helps just a bit to make people stand up against all those weapons and shootings it is fine by me. Publishing the baby blanket pattern right now is just by chance, it was finished now and ready for publishing. But maybe it should have been just right now, reminding everybody that babies and children need to be protected, not shot. I sold quite a number of patterns of the series to USA knitters by now, nobody ever complained until now about the name Columbine. And if there had not been the Parkland school shooting recently, there might not even have been any reaction on the name up to now. It might make sense to use the columbine flower as a symbol to finally stand up against all those who think they have the right to own and use weapons, even if that means too many weapons get into the wrong hands and US children are shot. The columbine is a delicate flower, as delicate as the life of the US children that should be protected from being shot in schools. But as the patterns are a series, that was not my thought behind using the name of the series for a baby blanket. Though a blanket for a baby and delicate flower match, once you connect columbine only to school shootings and not to the flowers. Here in Europe, we do not understand why US Americans fight only abortion as killing vehemently, but not owning and using weapons against their children. I hope that will fianlly, finally, finally change now. Enough is enough!!! If my naming makes US Americans angry, angry enough to stand up against NRA and too many weapons, that is fine by me. I can so much understand those young people who are fed up of being in danger of being shot at school. That is school, not war. Aren’t your children as delicate as the columbine flower and need to be protected? In Europe we really cannot understand the extensive use of weapons in the USA. On average, 100 US Americans are shot per day. Which makes 36500 a year, much more than half a million since the Columbine High School massacre. That is like a constant civil war in a civilised country. More than half a million victims in the last 20 years is like all inhabitants of a huge city have been extinguished from the surface of the earth since then. Murder is so seldom in Germany that almost every murder is reported on in the national news here. Maybe it would be quite a good idea to report all those murders in the USA on national news. With every single killing being reported, US people might understand that this has to change. Now!!! And help the young people in their fight against weapons in their rising national movement. It is not enough that just a few weapon owners destroy their weapons. 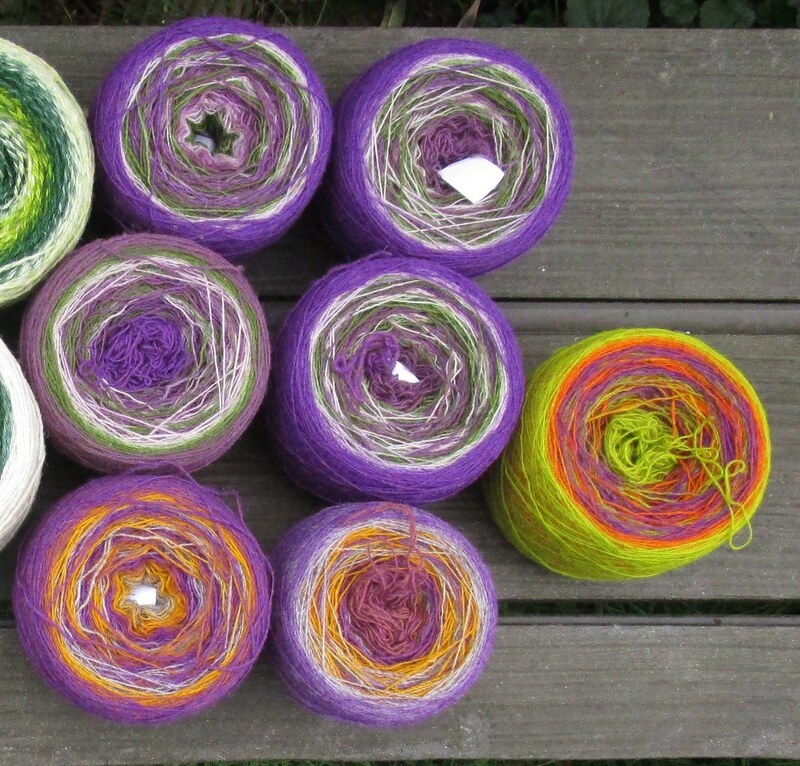 Und hier findet man die 311 teilnehmenden Designer auf Ravelry. 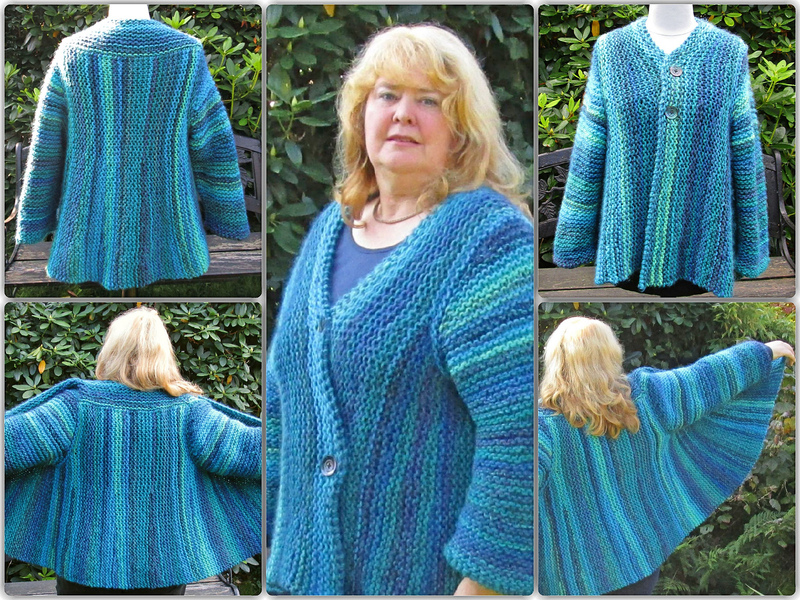 On Ravelry you can join many KALs and CALs and win great prizes. 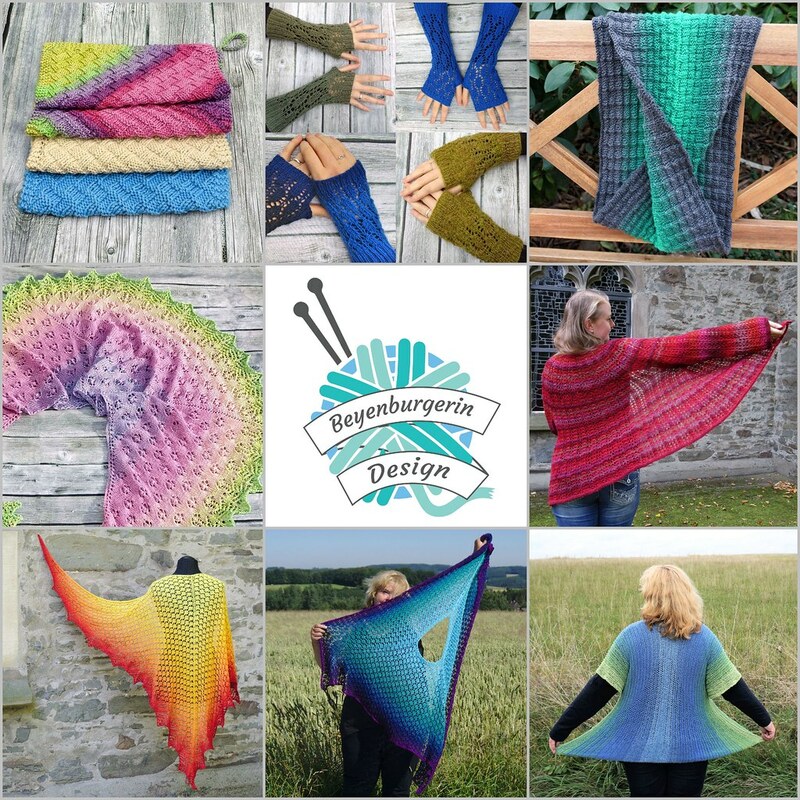 Here are the 311 participating designers on Ravelry. Ich habe da etwas für mich Neues entdeckt, Klintawolle. 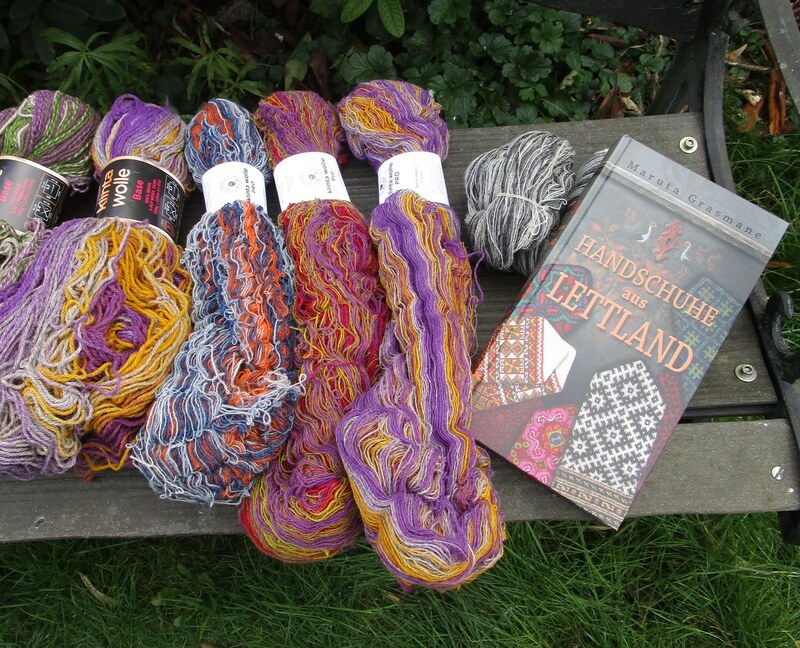 Ganz Tolle Wolle aus Lettland. Sie wird in einer Firma hergestellt, die seit 1914 besteht. Das Garn aus 80 % Merinowolle und 20 % Schwarzkopfwolle wird überwiegend für die Weberei produziert. 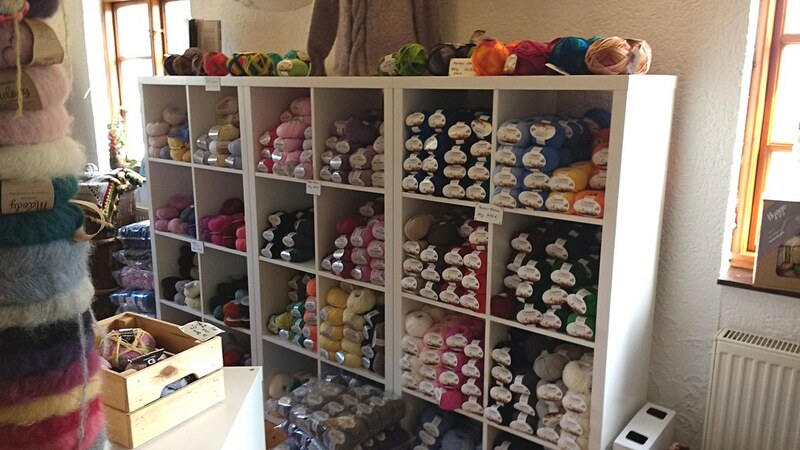 Das bedeutet, dass die Wolle fester gesponnen und gezwirnt ist als zum Beispiel Kauni oder Evilla Wolle und ähnliche und somit auch viel haltbarer ist. Und eben auch zum Weben geeignet. Es gibt Klintawolle einfädig (700 m/100g), zweifädig (350 m/100g) und dreifädig (250 m/100g) einfarbig oder mit Farbverlauf. 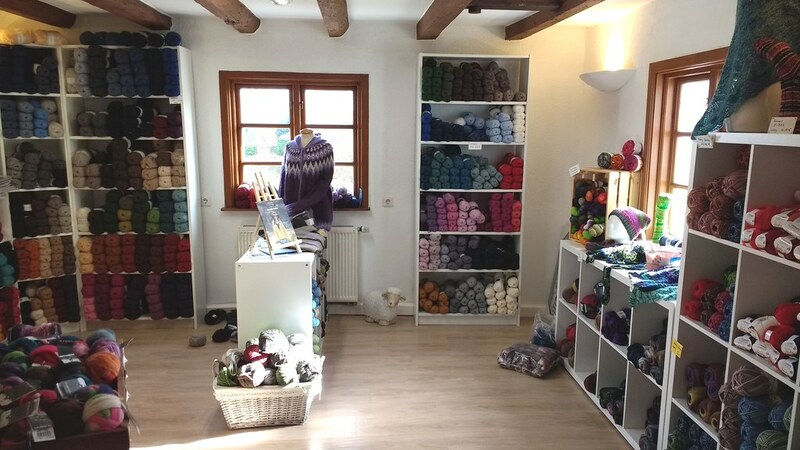 Oder auch richtig dicke Wolle mit 130 m/100 g.
Über die Firma Klintawolle oder Limbažu Tine selbst hat Cornelie Müller-Gödecke einen ganz tollen Blogbeitrag über mit vielen Fotos gemacht. I found something new to me, Klintawool. Very nice wool from Latvia. It is produced in a company that was founded in 1914. 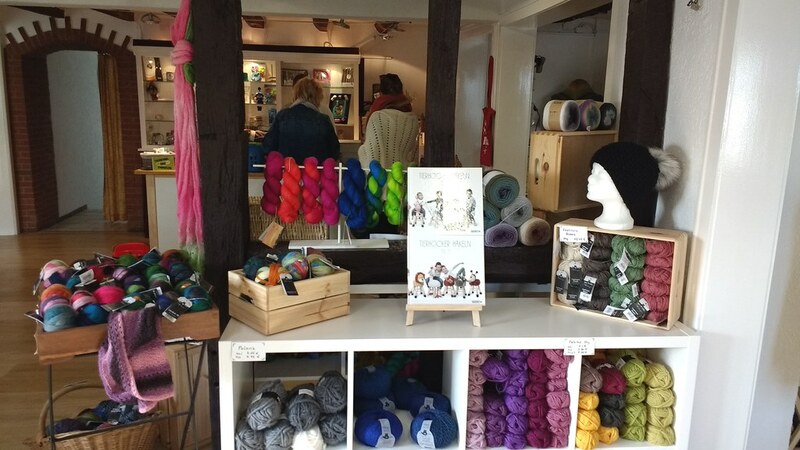 The yarn is made from 80 % merino wool and 20 % blackhead sheep wool and is mainly used in the weaving mill. That means that the wool is spun and twisted tighter than for example Kauni or Evilla yarn and the like and therefor also more durable. And of course suited for weaving. 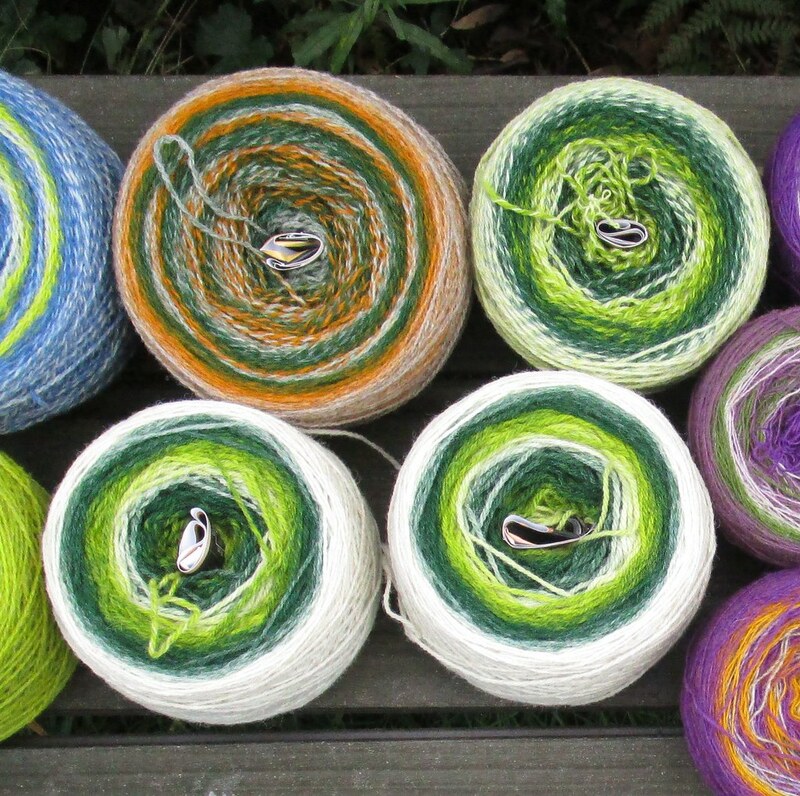 You can fins Klintawool single (700 m/100g), 2-ply (350 m/100g) and 3-ply (250 m/100g), in solid or gradient colours. 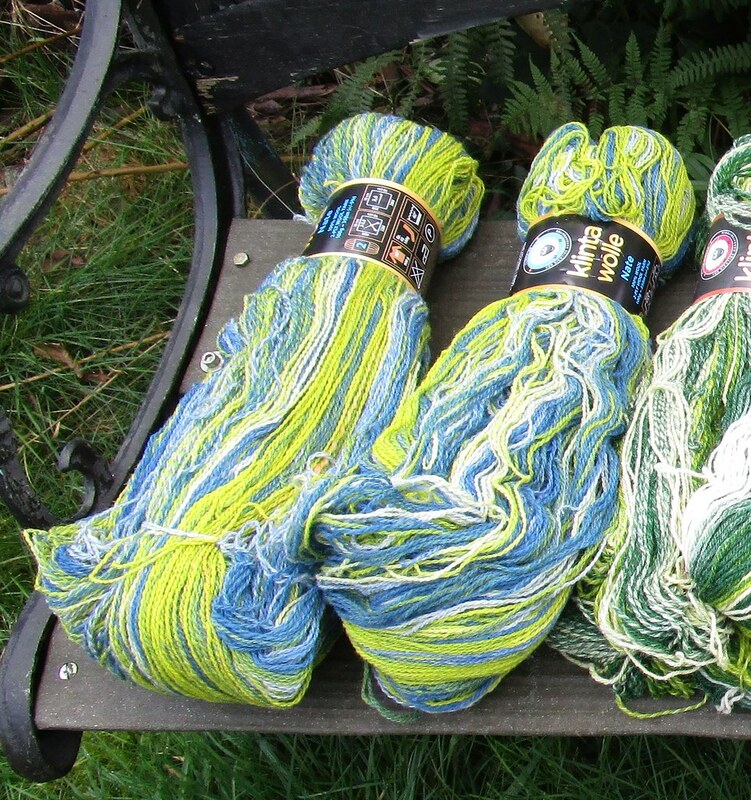 There is also pretty chunky wool available with 130 m/100g. 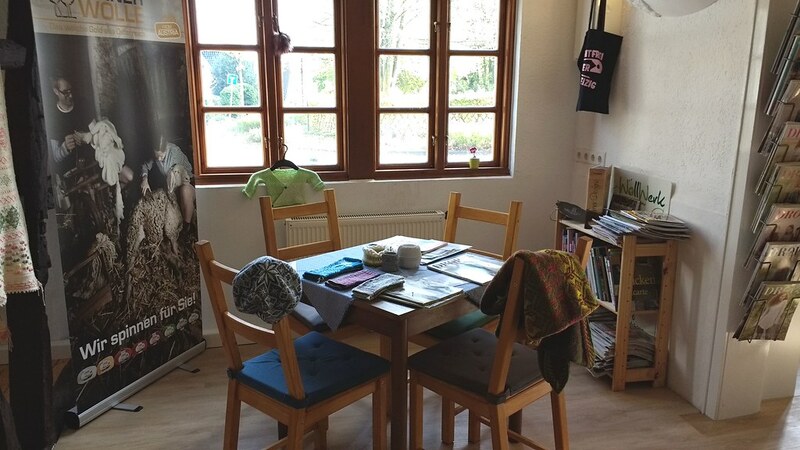 Cornelie Müller-Gödecke made a wonderful blog post with many photos about Klintawool, or Limbažu Tine. Die Wolle, die bei Klintawolle produziert wird, geht überwiegend in die Weberei. Es werden pro Färbegang ca. 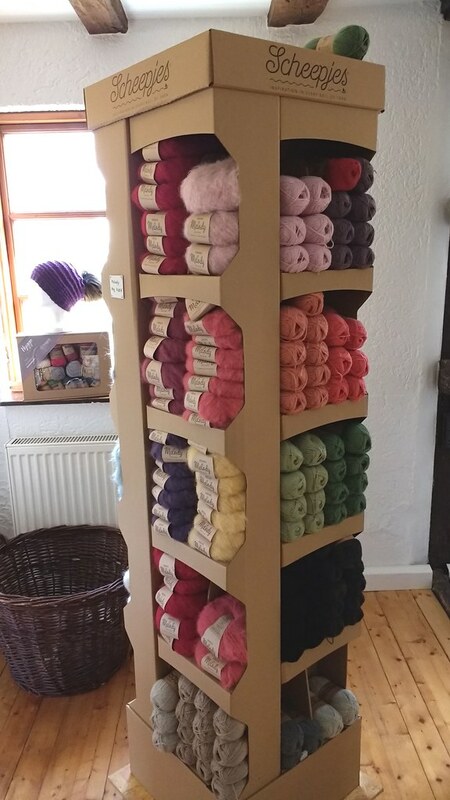 50 kg Wolle gefärbt. So bleibt bei jeder Färbung auch Wolle für die Strickerinnen übrig. Aber das bedeutet gleichzeitig, dass man bei Klintawolle ein sehr exklusives Produkt aus einer Kleinserie kauft. Also einen echten Wollschatz. 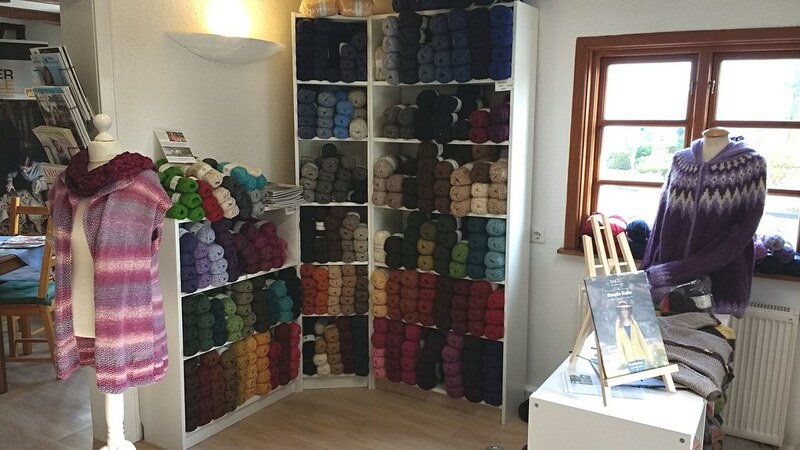 Es gibt auch eine Gruppe Klintawolle bei Ravelry. 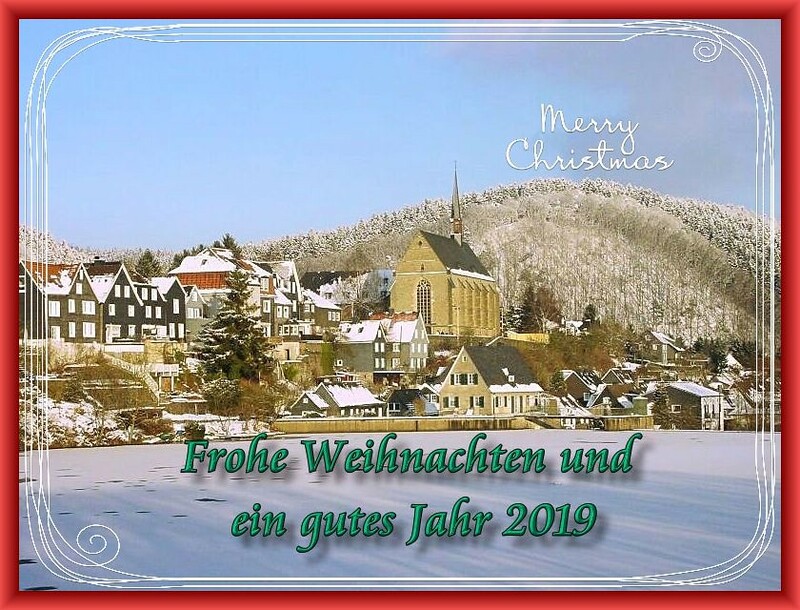 Und hier sind noch ein paar Fotos, ich musste mich natrülich erst mal mit dieser exklusiven Wolle eindecken. 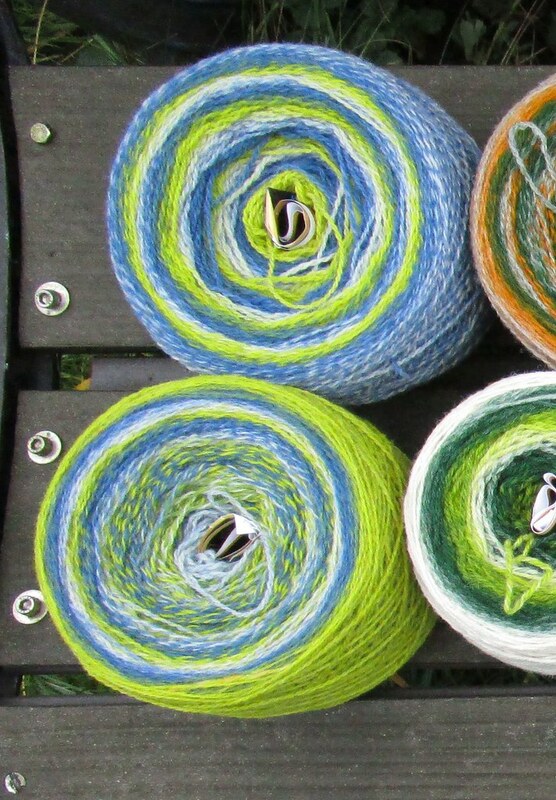 The yarn that is produced at Klintawool is mainly processed for the weaving mill. The dye lot are about 50 kg each. 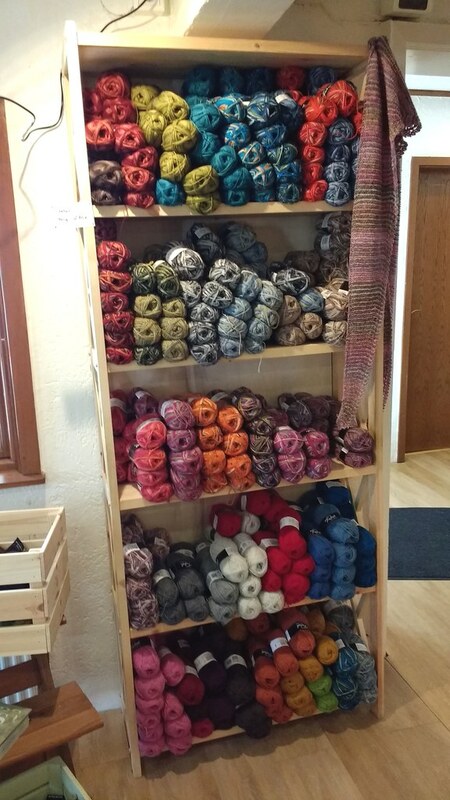 There is always some wool left for the knitters. 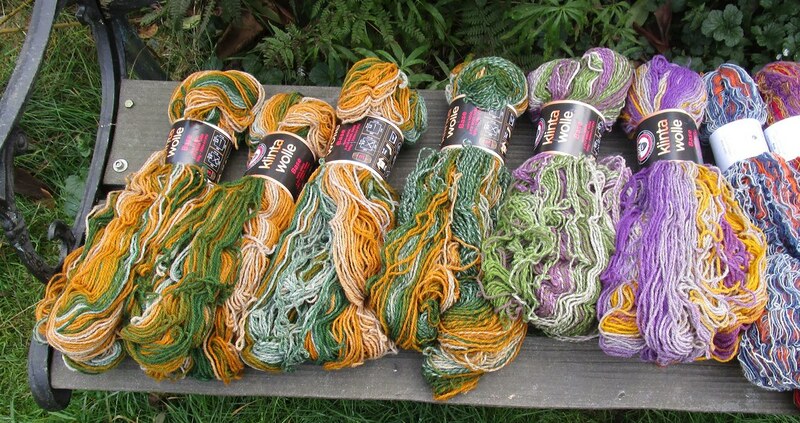 But at the same time that means that Klintawool is a very exclusive yarn from a rather small dye lot. 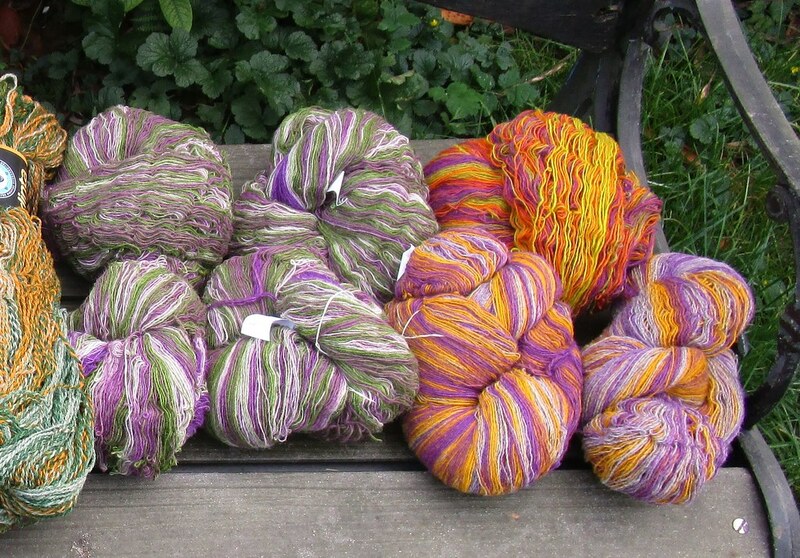 There is also a Klintawool group on Ravelry. So it is a real wool treasure. 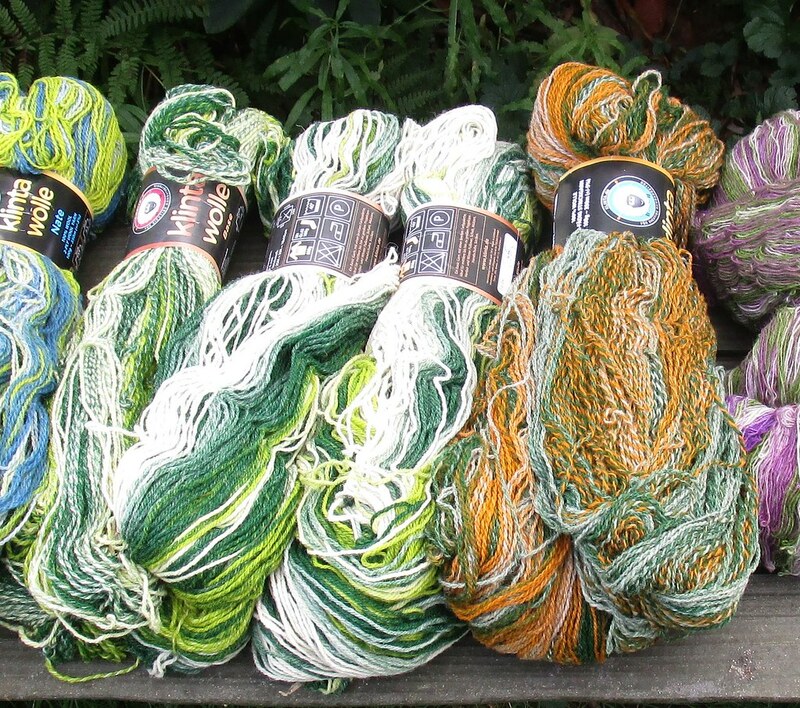 And here are some more photos, I had to buy a nice stash of this exclusive yarn, of course. Lace, mit 3 mm und 3,75 mm Nadeln gestrickt. 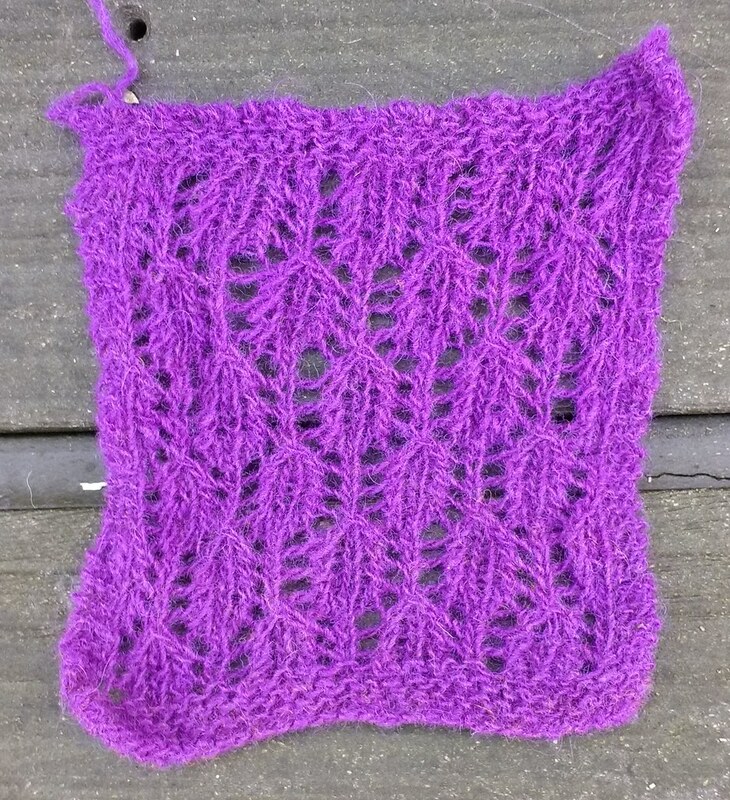 / Lace, knit with 3 mm and 3.75 mm needles. Paket 2 und 3. Ich denke, jetzt habe ich meine Grundausstattung Klintawolle zusammen. Parcel 2 and 3, I think I have a basic stash of klintawool now. Hier ist die Geschichte zu dem Cowl. Here is the story behind this cowl.